We think we may have a bird's nest hidden on the side of our house. My little guy has been obsessed with owls lately and has an unending love for birds, so we made these simple bird's nests on Saturday morning. Materials Needed: brown paper bag, scissors, sticks, leaves, and grass, mini marshmallows, and Elmers glue. 2. Roll the sides of the bottom part of the bag to form the base of your nest. 3. Send your little one outside to collect twigs, sticks, grass, leaves, etc.- whatever they think a bird would use to build a nest. 4. Bring the collected items back inside and then squirt some Elmers glue at the bottom of the paper bag nest. 5. Take out your sticks, twigs, etc. and push them into the glue. 6. Add some glue dots and stick some mini marshmallows to the nest as eggs. 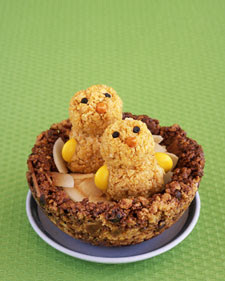 If we'd had time we also would've made these cute cornflake nests and little crunchy critters. I think that cooking with kids is pretty much one of my favorite ways to reinforce language concepts and teach new vocabulary words... without it feeling like work! In this activity we talked about different textures based on the materials we found and used in our nests. Wouldn't eating different textures and talking about them while making crunchy critters & nests be even more fun??! I think we may need to follow up and make these next week. Nests and eggs aren't solely reserved for Easter time and Spring. 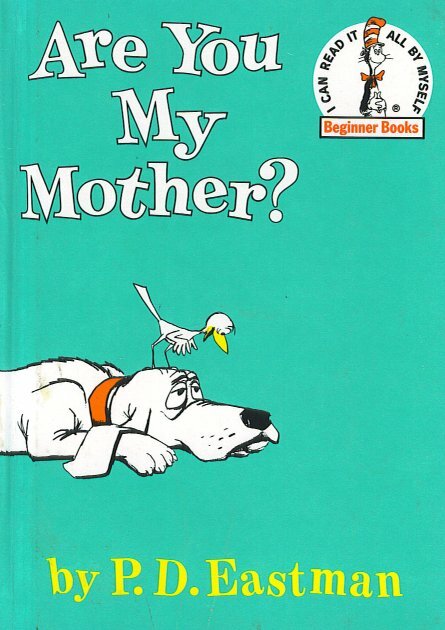 I know my son would LOVE to re-enact the Are You My Mother? story with me while holding a little cereal birdie and taking bites as he plays. Have any other fun egg and nest crafts that are staples at your home or work? Thank You for the idea. 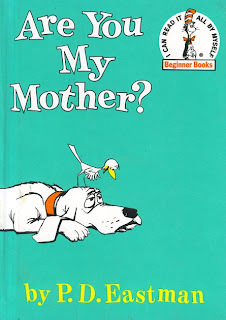 One of my kids wanted to learn about birds and nests and we used this idea. They loved it.